What are the top five reasons people send balloon bouquets? FUN is capitalized with our bouquets due to their uniqueness. Our balloon bouquets are more than “balloons on a string” making them significantly different from flowers and bouquets found elsewhere. We use only the very best quality balloons and special techniques to make them last longer than you would expect–definitely over a week. Need latex free? We can use the fantastic new plastic balloons that last almost 4 weeks! Now that’s Above the Rest! Bouquet deliveries start at $49.95 and increase according to their size and complexity. They are perfect for birthday, get well, anniversary, Valentine’s Day, party centerpieces and just about any other occasion. Delivery charge varies according to location of delivery. 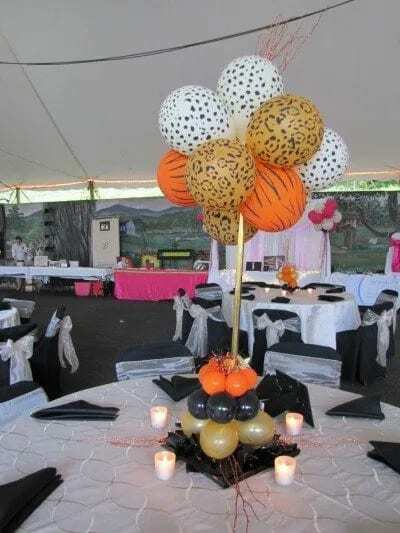 Call us at (865) 719-8110 to place your balloon bouquet order. Colorful Festive Flowers always bring joy.